The Clearview Veterinary Hospital team knows how to care for your pet and understands the important bond between you and your cat or dog. From diagnosis and treatment to overnight boarding, you can trust us to take care of your pet with unwavering affection and compassion. Dedicated to fulfilling our obligation to provide you and your pet with progressive medical and surgery services, we promise to make your cat or dog a part of our family while they are here. With almost 40 years of experience, we are your premier veterinary hospital, offering personalized care from a loving, knowledgeable staff. Standing out for our high-quality medical care, our unmatched services are designed to give you and your pet peace of mind knowing that their health and comfort is our number one concern. We welcome everyone to visit our hospital and see what others have to say about our highly qualified staff and compassionate team’s care. 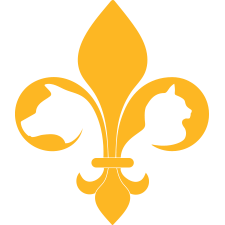 Read our reviews and let us prove to you what makes us Southeast Louisiana’s Top Rated Local® Veterinary Hospital. At Clearview Veterinary Hospital we aren't just care, we are your family companion who provides your pet with everything they need to live a long, healthy life. Our team is always ready when your pet needs us. Learn more about our services and see what Dr. Bennett and Dr. Tosh mean by making your pet a part of the Clearview family.